2018 budget is already dead on arrival – Senator Abaribe – Royal Times of Nigeria. 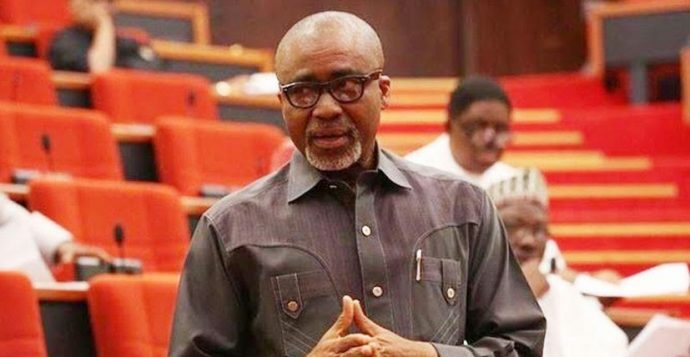 Senator representing Abia South, Enyinnaya Abaribe during the debate on the budget at the plenary on Tuesday said the 2018 budget was dead on arrival. It could be recalled that President Muhammadu Buhari had presented the proposed 2018 budget to the upper and lower chamber of the legislature and he Presidency had said the budget will be passed before January. The senator said nothing was done in 2017, so the proposed budget cannot be called budget of consolidation, adding that the assumptions of the budget are totally wrong and off the mark and is dead on arrival. “Senate leader is bothered about, I withdraw the word ‘fictitious’ and say that the 2018 budget is totally imaginary. Because nothing was done in 2017. That is a fact that we all know. “In the leader’s speech, he said that there was so much money that was received in 2017 and therefore, there is an estimate of N11 trillion to be gotten. But we know that as at last week, the total receivables that this government is got was one-tenth of what was stated publicly. “In what sense will the 2018 budget be predicated on an assumption that the facts have already destroyed? You are assuming 11 trillion, yet, getting one trillion. That is why I said that the 2018 budget is imaginary. The Senate adjourned debate on the budget to Wednesday.